A scam has been un earthed in which several Patriotic Front founders and Bank of Zambia directors have defrauded the Central of Zambia unionised employees of millions of Kwachas that has led to the death of one person. Information gathered is that Dr. Mabula Kankasa the BOZ Deputy Governor for Administration, Mr. Gilbert Temba the BOZ Board Vice Chairperson, Mr. Nobert Mumba a Director at BOZ and Mr. David Ngandu now deceased who was Chief Executive Officer of the Kwacha Pension Trust have defrauded millions of Kwacha. The above named together with others currently unknown inflated the cost for the construction of a Shopping Mall along Lake road in Lusaka that houses Choppies Supermarket just next to Crossroads shopping Mall. The said people have also been diverting money collected as rentals from several properties owned by Kwacha Pension Trust including a building just next to Trinity United Church of Zambia (UCZ) church along Church road in Lusaka. Some BOZ employees discovered the scam and reported the matter to the Anti Corruption Commission (ACC). Upon disvovering that they were being trailed, Mr. David Ngandu fled to The United States of America pretending to have gone for further studies while Mr. Nobert Mumba who is brother to former Finance Permanent Secretary Stella Chibanda who was also implicated in Zamtrop scandal during the Late President Levy Mwanawasa’s administration also fled to Geneva also on pretext that he had gone to study. Mr. Mumba is still abroad. There escape is said to have been facilitated by some senior government officials including Mabula Kankasa and Gilbert Temba. Unfortunately for Mr. David Ngandu the CEO for Kwacha Pension Trust, his Visa for stay in USA expired. On Saturday 10th March 2018, he returned from the USA and upon arrival at The Kenneth Kaunda International Airport, he was detained by the ACC and his Laptop and several belongings confiscated before he was released and asked to report to the ACC on Tuesday March 13. 2016. Mr. Ngandu went home and committed suicide. The group is believed to have bought several houses from the National Housing Authority (NHA) in Ibex Hill in Lusaka near the American Embassy. 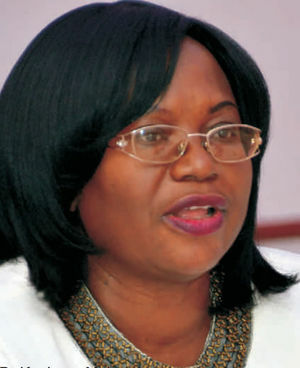 Dr. Mabula Kankasa is related to Higher Education Minister Nkandu Luo and has had her contract extended several times. Gilbert Temba is one of the PF founder members and a close ally to former Finance Minister Alexandra Chikwanda. It was Chikwanda who appointed him to the BoZ board. Ironically, Temba is also Kwacha Pension Trust Board Chairperson. Kwacha Pension Trust is a scheme owned by BoZ unionised employees.